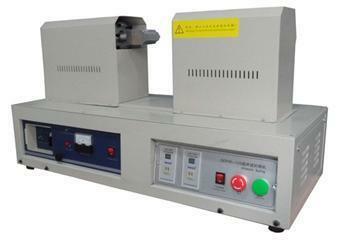 The Ultrasonic Sealing Machine is to seal the tubes with instant oscillation heat energy, not damaging a tube or content. Horizontal welding designs to ensure the filled material without spilling and suitable for sealed PE tubes and laminated tubes for better appearance. The fountain head of quality in products is fed by a sustained corporate commitment to fulfilling customer demands. "Eewa Engineering Co. Pvt. Ltd." has grown from manufacturing to being a major corporate player and market in the manufacture, exporter and supplier of multifaceted range of products in Industrial Sealing Machine, Sealing Machine, Sealing Machinery, Filling Machine, Packaging Machine, Welding Machine, Industrial Conveyor, Bag Making Machine, Hot Stamping Machine, etc.